There was a time when it was hard to imagine a house without any television set. And now for many, it is even harder to imagine life without smartphones, with an active mobile internet connection in it. The average cost of 4G data and smartphones in India has gone down drastically in the last one year – giving people more ways to consume entertainment at their own pace and at the comfort of their personal screens. The new telco entrant, Reliance Jio has not only disrupted the industry pricing for 4G data or 4G devices, it has made a far-reaching impact on the mobile video consumption too. An increasing majority of the Indian internet users already access digital entertainment offered by the Over the Top (OTT) and Video on Demand (VoD) players. Another interesting phenomenon is that the all-pervasive smartphones and the declining data cost are bringing more regional language users from tier, 2, 3, 4 cities and rural areas online-who would prefer to consume content in their local languages. A recent KPMG-Google study says that the Indian language internet users are expected to account for nearly 75 percent of India’s internet user base by 2021. Although the availability of quality content is conspicuously less in the regional languages, the engagement levels of the Indian language internet users are found to be on the higher side (530 minutes per week) than urban internet users (487 minutes per week). As digital entertainment consumption is growing fast among these regional language-speaking users, OTT players are also seeing a continuous uptick in the loyal viewership. As a result, we have seen a growing number of OTT players today are focusing heavily on original content creation-not only in Hindi, but in other regional languages also. Bengali is one among the regional languages that promise a strong growth prospect for the OTT players as the content can be appealing to a vast diaspora of Bengali-speaking people worldwide as well. It is still a vastly untapped market, as there are only a handful of OTT players who have original and quality content to cater to the demand. 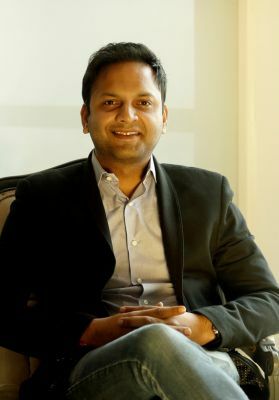 34 year-old Vishnu Mohta, who has been heading the New Media division of Kolkata-based SVF Entertainment was quick enough to grab the opportunity to launch his maiden venture, Hoichoi. Mohta wants to build Hoichoi as a one-stop shop for Bengali digital entertainment with something to offer for every Bengali – young or old, movie buff or music lover, student or working professional. Hoichoi stands out from others in quite a few aspects. 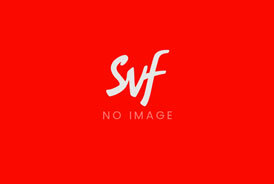 It offers a large catalogue of popular Bengali films which includes the films from its own SVF production stable and others. Mohta feels that the content emerged as a competitive differentiator for the OTT players, as the users have started gravitating towards a more personalized form of entertainment now. Hoichoi’s original content spans different genres like Thriller, Drama, Horror, Romance, Comedy. Music streaming will also be added soon, said he. Besides web and mobile, the company is working on to make the content available on other popular streaming devices/platforms. Hoichoi is Chromecast and AirPlay-enabled already, and is expected soon on Amazon Fire TV, Apple TV and Roku TV also. “As the market matures to a considerable extent, the users would be looking for more nuanced offerings, such as quality of the content, curation of the content, personalized recommendations, etc.” said Mohta. Smaller app footprint: The installed size of the app is around 72-74MB, which is comparatively lighter and does not eat much space, data, and battery of the user’s device. Faster loading: To support the on-demand nature of the content and the geographically dispersed user-base, the app uses a content delivery network. That lets users stream high-quality videos without buffering. Download options: Keeping the poor network conditions in mind, the app has provided download option for the all the contents. Users can either use the local storage or save the videos on the Google Drive for viewing them later. Users can also choose from two different video resolution (360p or 720p) for downloading the videos. The content is subscription-based, advertisement-free and freemium in nature.